St. Monica Catholic High School is located in the coastal city of Santa Monica, California. Nestled in the Santa Monica Bay, the city of Santa Monica is completely surrounded by the City of Los Angeles, with Pacific Palisades on the north, West Los Angeles on the east, and Venice on the south. 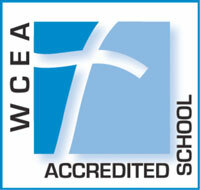 St. Monica Catholic High School is accredited by the Western Association of Schools and Colleges, is a member of the National Catholic Education Association, and the Western Catholic Educational Association. The student body at St. Monica Catholic High School consists of 425 students in grades 9 through 12 who represent a wide variety of ethnic, economic, and cultural backgrounds. Over recent years, the average class size at St. Monica is 24 students per class. Faculty members at St. Monica Catholic High School participate in the life of the St. Monica community through their classroom teaching and involvement in campus activities and athletics. With a large number of the faculty having earned advanced degrees, including 5 doctorates, the SMCHS faculty utilizes varied teaching strategies to enable students to not only succeed at St. Monica Catholic High School, but in college as well. St. Monica Catholic High School offers close to 20 athletic teams for students to participate in. Within most sports, there are usually two levels of competition: junior varsity and varsity. The freshman and junior varsity teams focus on skill development, motivation, teamwork, and positive attitude. At the varsity level, teams play competitively and regularly earn post-season play-off berths. 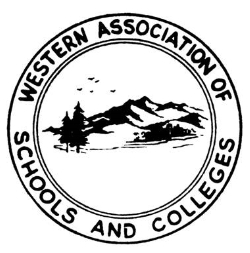 SMCHS competes in the Camino Real and Santa Fe Leagues, depending on the sport. Activites at St. Monica provide all students with opportunities to grow in faith, engage in service experiences, and participate in school groups that look to take an active role in the life of the school. By nurturing the talents of each member, activities at St. Monica allow for all students to actively participate in school groups and organizations while enrolled at St. Monica. Students at St. Monica Catholic High School are provided with a religious education that includes classroom instruction as well as religious activities. Utilizing both faculty and students, the Campus Ministry Team plans school liturgies, grade-level retreats and monitors the Christian Service program. In response to the goals of St. Monica Catholic High School, “To encourage responsible participation in the world community,” and St. Monica Parish, “To form loving disciples who will transform the world,” St. Monica has a graduation requirement of 100 hours of approved Christian Service. The program is progressive both in number of hours and level of community participation. It is expected in the learning process students will be exposed to different communities of need and hopefully serve others outside their existing comfort zone. Freshmen - are required to perform 20 hours of Christian Service. Sophomores - are required to perform 20 hours of Christian Service. Juniors - are required to perform 30 hours of Christian Service. Seniors - are required to perform 30 hours of Christian Service.